Repairing your credit after a financial hardship, a divorce or a large unplanned expense can seem like a scary task. Credit repair doesn’t have to be scary, it just takes time, perseverance and the proper education on what is best for your situation! Step 1: Evaluate what is bringing your credit score down. Have you built up high balances on your credit cards? Did you take a loss on a vehicle or home? Are you unable to maintain your bills or have you allowed past due payments to go to collections? Once we have determined the underlying factors that are causing your credit score to drop, we can determine possible solutions! Step 2: What is going to work for YOU. The next step is determining what is going to work for you, your budget, and your lifestyle. We can help you create a budget plan to put money aside each month while allowing you to maintain a similar lifestyle. In the end the extra funds can help take care of any outstanding debts or create an emergency fund for future unplanned expenses. Debt consolidation and refinancing of your debt are other options. Either one allows you to restructure existing debt and structure it to be paid off in a timely and affordable manner. The third step is to simply wait. Your credit score will not change overnight. Rebuilding credit takes time and it will require you to maintain the change in spending and saving habits for an extended period of time. Most times you can see a change, sometimes a dramatic change, in your credit within the first six months to a year! It is also important to remember that the depth of your credit report does play a large factor in the bounce back of your credit score. Credit cards are a great way to successfully build positive credit if handled properly. Watch the Interest Rates of the cards you carry in your wallet. Never carry a balance greater than 40% of your outstanding limit. If possible, pay the card off each month. Always make a payment greater than the minimum payment each month if you can’t pay it off. SouthPoint has great credit card options with low interest rates, 0% balance transfers for 6 months, and $0 balance transfer fees. Secured credit cards are also a good option for building positive credit. This option allows you to be able to create good credit habits with a card that is secured with your cash as collateral. You can use it like any other credit card until your credit score is good enough to qualify for a credit card that doesn’t require a deposited amount of cash as security! 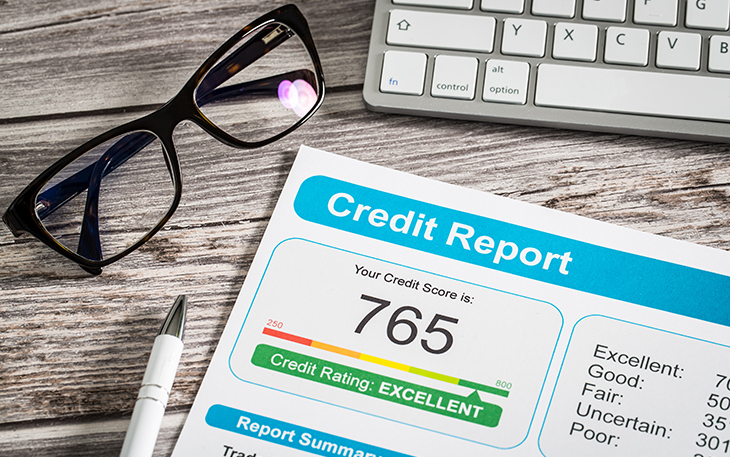 Maintaining your credit can be tricky, but if you work hard and stay on top of your credit score and credit report recovering from bad credit is possible.